The cliff retreat has been a fun project to design and I find myself constantly jumping back and forth between the macro and micro scales of the design. For the micro scale, the lack of detail in the model can make it difficult to visualize some of the design ideas. Therefore, I looked to Photoshop to quickly add some missing information and to help me study these different moments by exploring textures, scale and light. Below is a quick break down of one of the images. The 3D model is still lacking materials and detail, so I had to do my due diligence to find good textures to overlay on top of the clay model. The geometry itself is simple in many of the views, so the Photoshop post processing took little time compared to other images. I probably averaged two hours of post processing per image. The secret was having a good Material ID channel to help me make selections. Material ID is something that I haven’t talked about much on this site, but is crucial for fast and clean Photoshop post processing. I will follow up this post with a part 2 tutorial describing how I create and integrate the Material ID channel into my workflow. I grouped the layers in Photoshop by texture and then masked off the groups instead of each individual texture. This made for clean photoshop files and will allow for simple edits if the design changes later. This concept will also be covered more in depth in part 2 of this post. For the final image, I converted to black and white to downplay the strong green vegetation and shift focus back to the textures and light. There was a little more to the black and white conversion than just desaturating the image. I increased the contrast by duplicating the image and setting the layer blend mode to “Overlay”. 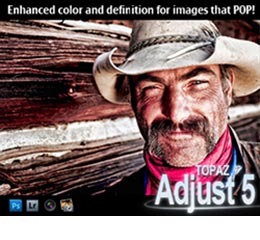 I also ran some Topaz filters to sharpen the image and enhance the details.